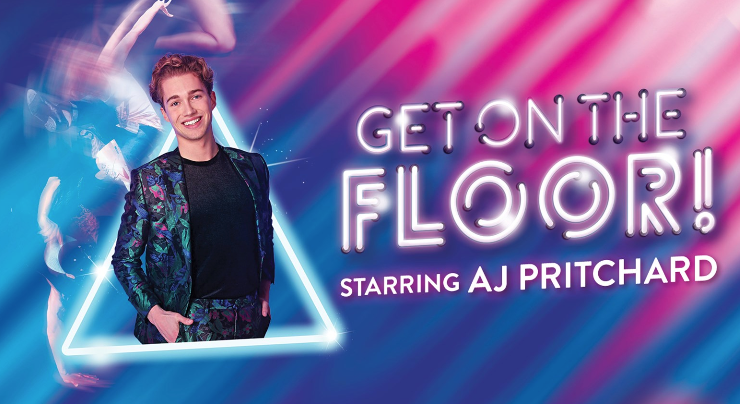 Star of ‘Strictly Come Dancing’ AJ Pritchard embarks on a dynamic new dance show like no other in 2019 - ‘Get On The Floor!’, the tour heading to various venues around the UK in partnership with leading production company Raymond Gubbay. Get On The Floor! is a fabulous fusion of styles combine with an iconic musical playlist and a dynamic cast of dance and vocal talent to set pulses racing. Worldwide dance floor flavours include tango, ballroom, latin, hip-hop, contemporary and commercial with stunning live vocals, striking costumes, and an exciting remixed sound featuring hits from the likes of Michael Jackson, Whitney Houston, Madonna, Little Mix, Ed Sheeran and many more. A must see dance production for all the family. “AJ is an exceptional talent and we are delighted to be working with him as the star of our ‘Get On The Floor!’ tour. Get On The Floor! combines the best of Strictly, as well as bringing contemporary dance elements. It will be a show the audience get on the floor to dance too throughout”. Stuart Glover – Raymond Gubbay – Dance Project Manager.